What's your reaction to the phrase "men in nursing"? Perhaps it's time to address the stereotype. According to the Data USA’s profile on registered nurses, more than three million nurses were employed in facilities across the country in 2016. Of that number, only 338,271 were male. In a field that’s made up by less than 11 percent of men, the number of misconceptions surrounding men in nursing is profound. Ranging from suggestions that men can’t bring the same depth of emotional care to the job to the belief that nursing is (and should be) primarily a woman’s job, these misconceptions not only hinder the growth of men in the field, but they also impact current male nurses who are forced to work around these stereotypes every day. Here at Concordia, we recognize that both men and women can bring unique perspectives and skills to the profession—that both are needed in order for the field of nursing to flourish. And we’re excited to have male students represented in both our undergraduate and graduate nursing programs. Jake Switzer is one such student. Growing up in a medically driven family with a mother who was a nurse, Switzer was constantly in and out of the hospital. That early and constant exposure helped to take the mystery and fear out of the medical world and quickly cultivated a passion in him to pursue health care. Aside from nursing, Switzer also plays ice hockey for Concordia. After spending a few years playing for different junior teams, he applied to and was accepted to Concordia. Now he studies nursing by day and plays hockey by night—a combination that some people find a little odd. However, despite the stereotypes and fun jesting, Switzer thinks the tide might be starting to turn when it comes to public perception of men in the field. In fact, some patients even prefer nurses who are men. 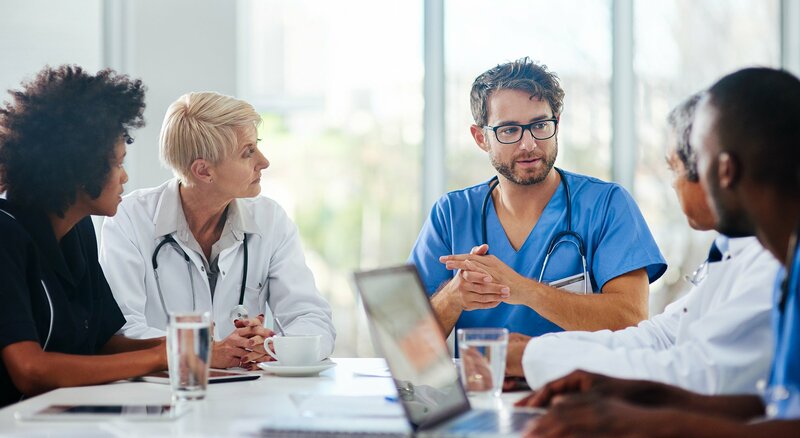 Encouraging men to enter the profession not only helps with public perception change and creating a more balanced workplace but it also directly impacts the quality of patient care that can be offered. Without having nurses on staff who are men, the comfort and preference of patients who prefer male nurses has to be bypassed in order to provide care. Richard Condon, another Concordia nursing student, also grew up in a medical family. He sees a good nurse as being determined not by gender but by the possession of a few good qualities. If you have the qualities, you’ll succeed regardless of whether you’re a male or a female nurse. Despite his own passion for the profession, he has encountered some stereotyping from his peers, particularly friends from high school who tried to persuade him to go the doctor route instead of pursuing nursing. But that didn’t stop Condon from pursuing his nursing career. For him, it comes down to the amount of care he has for people, and that caring spirit is the motivation that continues to drive him forward. That kind of dedication to quality care for each patient is what we work hard to build into every single one of our students here at Concordia. So whether they’re male or female, whether they stay at the bedside for the entirety of their career or decide to move into other facets of health care, that commitment to excellent service remains the driving motivation. To learn more about Concordia’s nursing program, check out all the different degrees that we offer through our School of Nursing.